Think when you last visited a doctor, you were probably ushered into a waiting room with a television and a bunch of magazines. Perhaps even a water dispenser, a coffee machine, and a friendly receptionist to talk to. 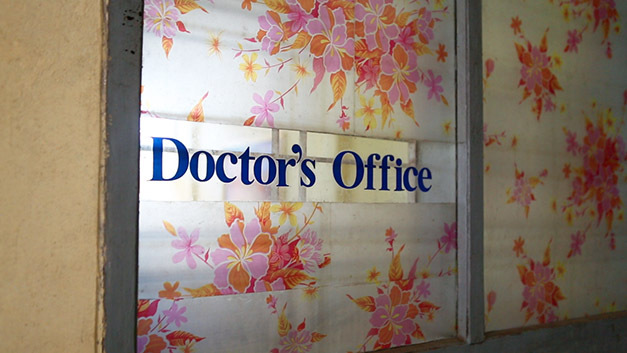 You probably had an appointment, and perhaps got a bit annoyed if the doctor was running a few minutes behind schedule! The situation is different in Yangon, Myanmar. The hospital corridors, or hallways, in Yangon hospitals are populated with either waiting patients, or friends and relatives. No aids for distraction, they just patiently wait, sometimes for hours. 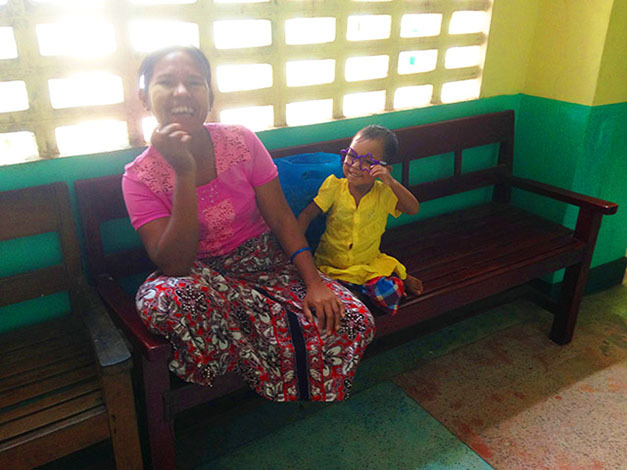 The two pictures below are of the same young Burmese girl and her mother that sat in on the pre operative assessment screen (see previous blog: https://www.ohi.org.au/myanmar/2014/02/19/pre-operativescreening/). These pics are of them waiting out in the corridor typically up to 3 to 4 hours. Below sits Zin Mar cuddling up to Mum before they were asked in. 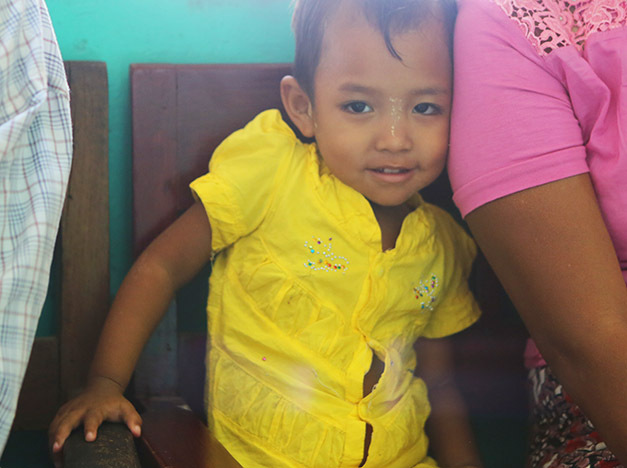 Zin Mar will have her ventricular septal defect (hole in the heart) closed later during the week. Not all the children are perfectly calm (photo to the left) some enter the doctor’s rooms kicking and screaming! 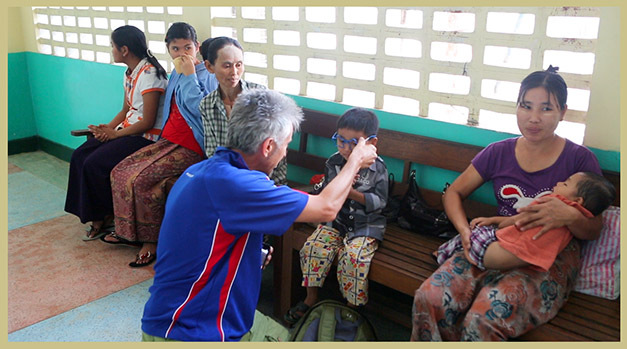 Below is a male nurse at the Military Hospital in Yangon about to administer a little subcutaneous ‘jab’ of diazepam into an upset boy, so it keeps him calm during the pre operative assessment appointment. 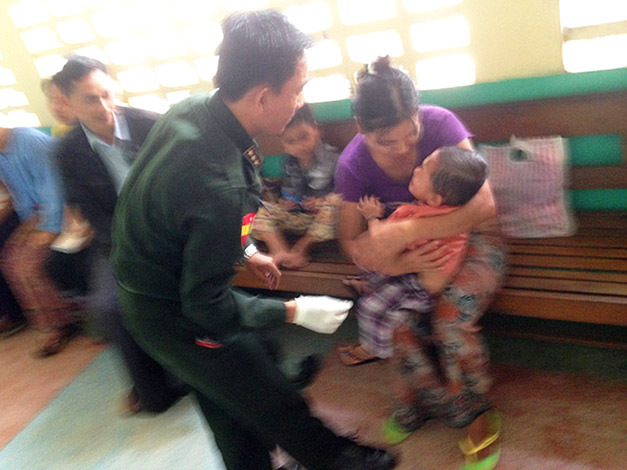 Other kids, (photo to the right) like Ye Htet Zaw, required no calming medicine, he just sat on the floor at his mother’s feet for quite a time. Perhaps there is a connection between the ‘Mums’ of the world! 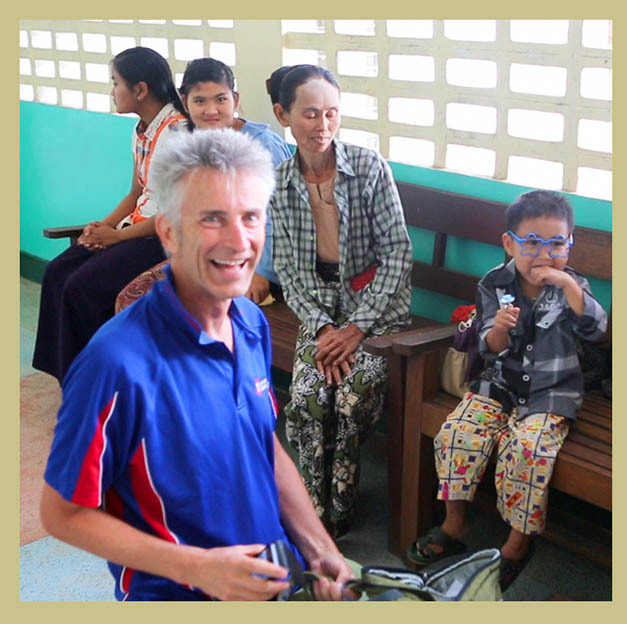 Back in Australia, I happened to mention how lucky I was to be a part of the OHI Myanmar trip this year, to a wife of a patient I was caring for. Who happened to be a mother! The next day she had collected a bag of tricks for the children in Yangon. Hence, if you see a few funny glasses on children in any of the blog pics, you know what bag they came out of. The children here are just delightful and easily entertained by little kidding around. 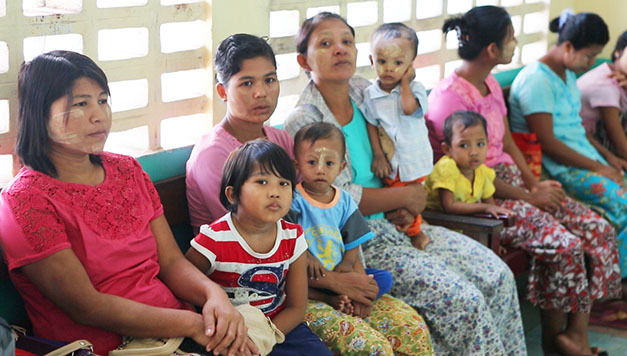 It’s their mothers who sit with them waiting in the hospital hallways wondering what will happen next. On a final note, have you ever seen such a funky entrance to a Cardiologist’s rooms?